That description could be applied to Sittenfeld's own body of work: funny, thoughtful, Midwestern social commentaries about the inner lives of women. But the story's best line comes next: "To be clear, I'm mocking neither my readers nor myself here — it took a long time, but eventually I stopped seeing women as inherently ridiculous." This is classic Sittenfeld: first, a joke apparently at her own expense, then a quick reversal that reveals the cruel stereotype it depends on and unknots it with the quick ease of untying a shoelace. Middle-aged moms have largely been excluded from the realm of glamour in fiction. Subject to affectionate derision, they often stand for conventionality, middle class pettiness, graceless aging, sexual desperation, marital disappointment. When they do escape their confines, it tends to be in explicit rebellion against the other, less interesting soccer moms — see Bernadette's flight to Antarctica in Maria Semple's (great) Where'd You Go, Bernadette. But You Think It, I'll Say It gives sustained, compassionate attention to the middle-aged women of middle America. In "Gender Studies," a professor of gender and women's studies has a one night stand with her airport shuttle driver, in "Prairie Wife" a woman can't stop thinking about a celebrity lifestyle guru, and in "Bad Latch," a new mom finds a friend in the smuggest woman in prenatal yoga. "Prairie Wife," one of the collection's best stories, is about a woman obsessed with a TV and social media star she knew when they were teenagers at summer camp. The folksy persona of this Pioneer Woman-type celebrity fills her with rage so strong "it was almost like lust." The story begins like a wry commentary on social media envy — but unfolds into a gentler and more complex story about the different kinds of love. When we talk about imagination in fiction, we often just mean worldbuilding. Sittenfeld's fiction is set resolutely in the ordinary, in parking lots and "nice" restaurants, in school gyms and SUVs. Her imagination is not fantastical; it is empathetic. She has a vision that ensures an inner life and a backstory that's equally convincing for Laura Bush (whose life she borrowed for American Wife) or the parents in the carpool. I often think about a detail from Eligible, Sittenfeld's 2016 retelling of Pride & Prejudice; in it, Jane Austen's crabbed, cruel, imperious Lady Catherine de Bourgh is remade as a Gloria Steinem-esque powerhouse. It's as if to ask: See what she could have been if she had a place to put all that feeling and force before it went bad? What if she could have left the drawing room and gone out into the world? 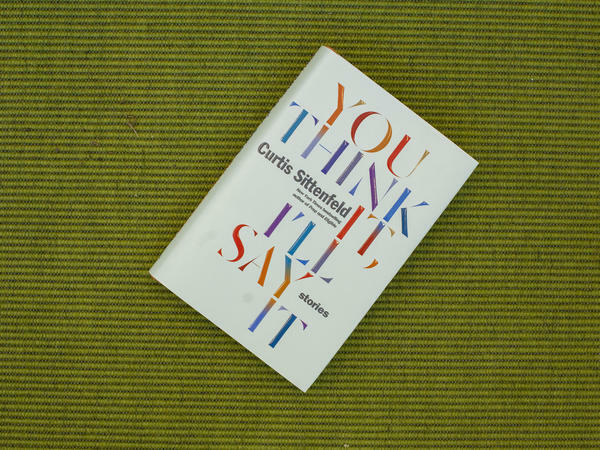 That empathetic imagination is one of the defining features of Sittenfeld's fiction, along with the unfashionable valuing of workaday family relationships over glamor or romance, and unpretentious, deprecating wit that's never cruel — or at least never for long. Women in these stories often have a consuming, vicious resentment of each other, the kind that comes from seeing someone who seems like either a better or a worse version of themselves. For these characters, the smug ponytailed woman on the exercise ball at yoga class or the older volunteer with bad skin and dry hair at the shelter conjure up some perfected or dreaded vision of who they could be, and they hate them for it. But before each story's conclusion, these resentments are subverted, and a more complicated and richer version of each woman is revealed — which they sometimes recognize in each other and sometimes don't. "Oh, our private habits, our private selves — how strange we all are, how full of feelings and essentially alone," thinks the narrator of the story "Plausible Deniability." Full of feelings? Clearly. But essentially alone? That part, Sittenfeld implies, is a matter of choice.